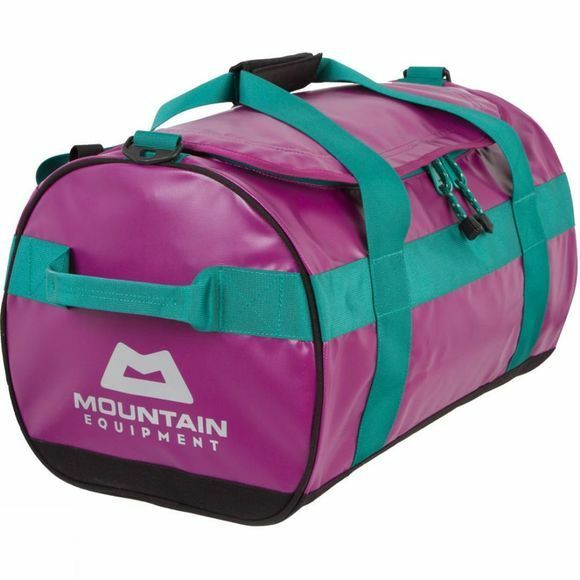 Keeping your kit protected whilst in transit is never an easy job, but luckily Mountain Equipment have their Wet & Dry Kit Bag (40L), to solve that issue. Constructed with durable waterproof tarpaulin fabric and a 1000D nylon base, which provides some serious protection. The large U shaped lid allows you easy access to the interior of the bag and the sewn in waterproof internal compartment allows you to separate your wet or damp gear from your items that you want to stay dry. Mesh interior zipped pockets on the lid and at the ends of the bag means that you can further organise your gear, without the need for packing organisers. Carry handles and straps found all over the bag, have been reinforced and give you some peace of mind when transporting the bag around. Exterior compression straps ensure that the bag travels as small as it can be, which helps with strict baggage size allowances. But please remember the zip isn't waterproof, so it's not a submersible dry bag.